Accounting and Finance Intern, Genocea Biosciences, Inc. I want to own my own men’s fashion boutique. Fashion has always been a huge interest to me and I think owning my own store would be amazing! "Conor was selected for this internship based on his personality, willingness to learn from the ground up and robust resume for a junior in college. Conor had no problem grasping different aspects of corporate accounting structure, dynamics of increasingly complex transactions to which he was exposed. He understands debt, accruals, cash applications and the impact of recognizing expenses in the proper period." Rosemary Townshend, Accounting Manager, Genocea Biosciences, Inc.
"I believe Point Park is helping me reach my goals by giving me a great learning experience in the classroom, as well as opportunities through the Career Development Center including co-ops and internships. I have had an amazing experience with the faculty of Point Park. The faculty is willing to help us find opportunities specific to our interests." 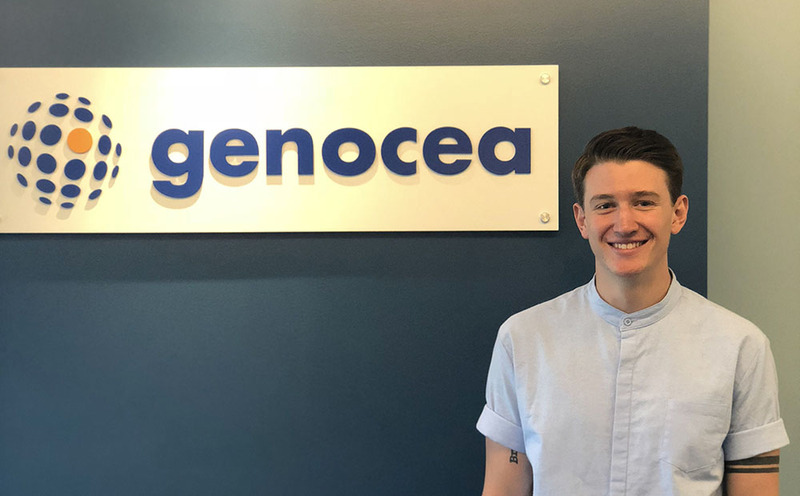 How did you land a summer internship with Genocea Biosciences in Boston? Completing an internship in Boston has always been of interest to me. While looking for an internship, I used my connection to the biotech industry to get my resume into the hands of professionals within that field. After my resume was submitted, I received an email from Genocea requesting an interview. After completing the interview process, I knew this was where I wanted to be. What better place to start than in Cambridge, the hub of biotechnology companies. I believe my prior experiences within banking helped me acquire this internship. During my time interning at Genocea, I have worked on a very broad range of projects. Being part of such a small finance team allows me to gain exposure in many different areas. I have worked with several different colleagues who have assigned me projects ranging from month-end close duties to SEC reporting, specifically related to filing the form 10-Q. I have also gained knowledge of the accounts payable process used by corporate companies. Over the course of the summer, I have learned many aspects of corporate accounting, My work has given me a solid foundation and understanding of real-world application of accounting standards. I chose Point Park University because of its lively Downtown Pittsburgh location, as well as its proximity to other highly-respected institutions in the surrounding areas. Point Park does a great job at connecting its skilled students to companies around the city. I knew coming to Point Park would give me a head start in my career. What are you looking forward to the most for your upcoming senior year? During my senior year, I look forward to enjoying my time with the professors I have come to know, as well as gaining as much accounting knowledge as possible. I am most looking forward to taking our audit class, as this is the area of accounting that I would like to pursue. I am also incredibly excited to play my last season of rugby for Point Park in which I will be one of our new captains. What are your career goals and how do you think Point Park will help you reach them? After school, I am hoping to find my place within an organization that finds purpose in their core values. I am looking to find my place within an internal/external audit department, although I have always told myself to keep an open mind when a new opportunity is presented to me. I believe Point Park is helping me reach my goals by giving me a great learning experience in the classroom, as well as opportunities through the Career Development Center including co-ops and internships. I have had an amazing experience with the faculty of Point Park. The faculty is willing to help us find opportunities specific to our interests.